As a multigenerational duo (one of us in our 20's and one of us in our 60s) we always find ways of sharing the best of both our experiences and perspective with you. It's so surprising how we find ways to merge our ideas/interests/opinions in daily life to find the best solutions or come up with new creative ones. Recently, we realized that both our generations have an obsession with reaching their 10,000 steps daily (fit bits and iPhone have made it easier to track). However, those of us in our 20s are usually less focused on a taking care of our feet long term and more focused on what's fashionable. The more you wear ballet flats, the more you begin to feel your knees ache after a long day. Thank god fashion is taking a turn for the practical. We have found that there are plenty of fashionable options out there to make sure you aren't hurting your joints while you get your steps up. More than that, sneakers are actually all the rage lately and limited edition sneakers (collaboration sneakers) can climb to over 500 dollars and beyond. But, there is no need to break the bank, we have plenty of stylish, blogger worthy options below. Happy shopping! Quick note: we have been looking for a pair of simple grey or neutral running shoes for ages. To our amazement, LULULEMON started making shoes, and the colors ARE AMAZING!!!!!!!!!! 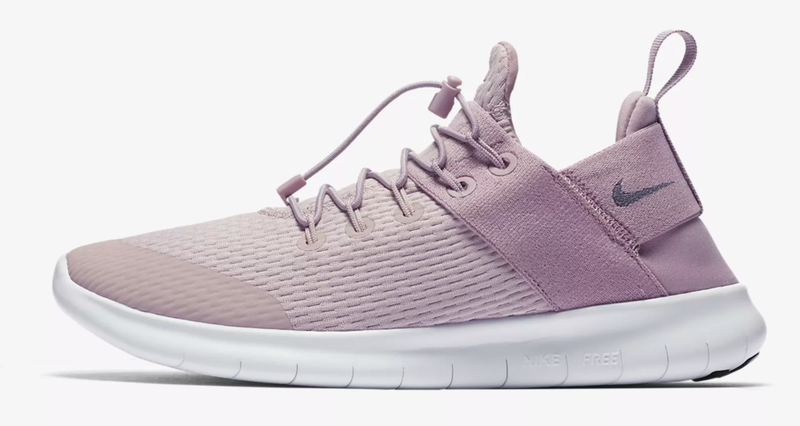 They not only have a perfect grey pair, but they also have a gorgeous Pretty Feed Lavender shade that is to die for. As you can tell, the lulu's are our favorite, but all of these are fantastic options for those of you who want some arch support while you look great.